With fireworks, live music and lots of American history, Raleigh, N.C., is certainly the family-friendly place to be on Fourth of July weekend to celebrate Independence Day. We&apos;ve compiled a list of events to help you plan your patriotic fun this year. The Carolina Mudcats in Zebulon will be playing at home the first week in July at Five County Stadium. The team&apos;s ballpark will celebrate with fireworks set to patriotic music following each game scheduled on July 2-5. The 42nd annual Fireworks Spectacular will be held in the town of Wake Forest during its Fourth of July Celebration on Fri., July 3. Gates open at 5:30pm. This two-day Independence Day festival will start on Fri. with fireworks at Wake Forest High School Stadium and continue on Sat. with a children&apos;s parade and art and games in the park. Just outside of Raleigh, the town of Garner will celebrate Independence Day on July 3 with a Fri. night concert from the North Carolina Symphony. The Independence Day Celebration, in its 25th year, is held at Lake Benson Park. Gates open at 5pm. The night will end with some of the best fireworks in the area. The town of Fuquay-Varina will have a fireworks display during its Independence Day Celebration at South Park on July 3, beginning at 6pm. There will be rides, inflatables and fun activities for kids. Entertainment will be provided by the band Spare Change. A fireworks display will begin at sundown. The town of Morrisville will host fireworks on July 3 at Morrisville Community Park. There will be bounce houses for the kids, other activities and live music, which will begin at 6:30pm. Fireworks will begin at dusk. Admission is free, but it is recommended to bring cash for food trucks. Celebrate with music before The ‘Works! begins at the North Carolina State Capitol on July 4. The Raleigh Concert Band will host a free concert at 11:30pm. Learn about N.C.&apos;s founding father, Joel Lane, at the Historic Independence Day Open House at the Joel Lane Museum House from 11am-4pm. Kids will have hands-on experiences when learning what it was like to live in colonial times. This is a free event, but donations are accepted. Experience an old-fashioned Fourth of July in the town of Apex. The historic town will celebrate America&apos;s birthday from 9am-1pm during the 4th of July Parade of Wheels. Prepare to get soaked at 12:30pm during Apex Fire Department&apos;s Splash Down fun. Cary&apos;s Independence Day event will be at Koka Booth Amphitheatre, with the North Carolina Symphony hosting a free concert on July 4 as a patriotic salute. Gates open at 3pm. The concert begins at 7:30pm, followed by fireworks. Admission is free. 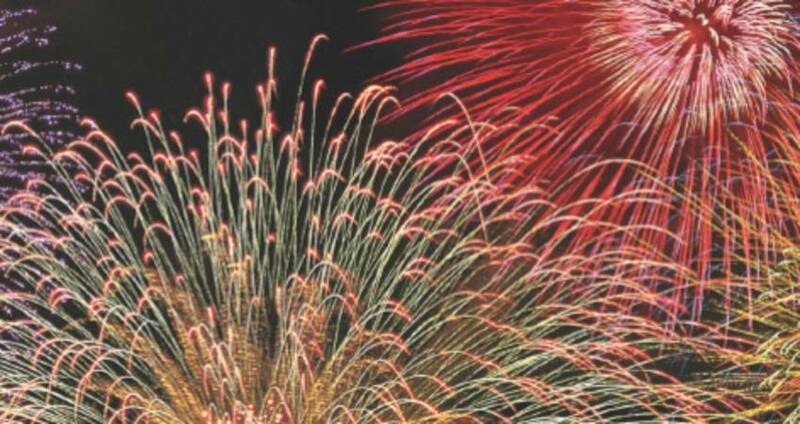 The Second Annual July 4th Celebration at Knightdale Station will be held on July 4 at Knightdale Station Park in Knightdale, featuring fireworks, activities, vendors and music from The Embers. Gates open at 5pm. Fireworks will be shot at 9:15pm. Admission is free. The town of Holly Springs will host its July 5th Celebration from 5-9:30pm. The festival, with music, arts, games and fireworks, will be held at Bass Lake Park. Fireworks will begin at 9:15pm. Admission is free. For a complete, up-to-date list of Raleigh area Fourth of July events, visit our holiday event page.